This version of the PfMP Exam Simulator 3.0 is based on the Standard for Portfolio Management - 3rd Edition, and it contains 780 questions. The current PfMP exam is based on the 3rd Edition, not the 4th. Please note that the Full PfMP Exam Simulator contains over 1,700 questions and is only available through our training courses and bootcamps. PMI does not publish the actual passing score. 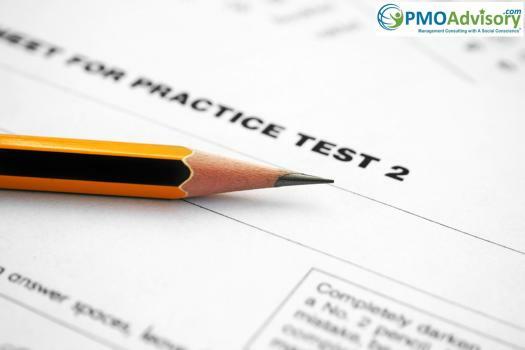 Based on previous experiences (for other tests like PMP and PgMP), the passing grade for this simulator is established at 80%. If you achieve 80% or higher on this exam, then your chance of passing the actual PfMP exam is at 70% - 80%. Naturally, you should strive to achieve higher. 1. All questions (and answers) are randomized. 2. You should only use the Exam Mode after you attained 75% or higher in the Flexible Mode (sold separately). 3. To prevent bots from scanning the exam, the correct answers will not be shown when the test score falls below the 60% threshold.